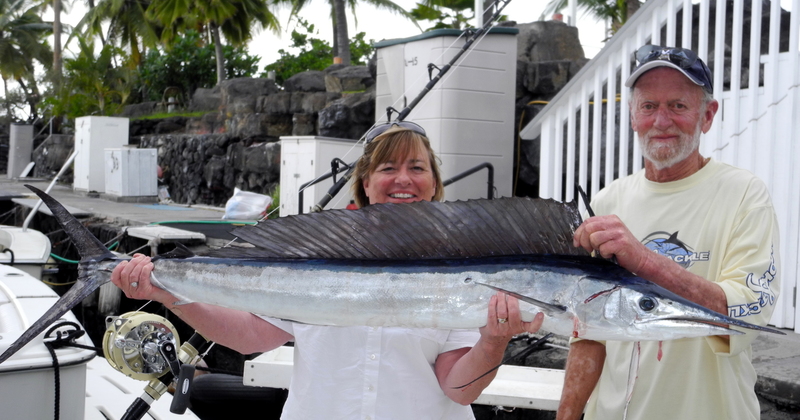 I Love Marlin Fishing in Kona Hawaii was the sentiment shared between Chris and Rebecca Aust from Orange County, CA and us. 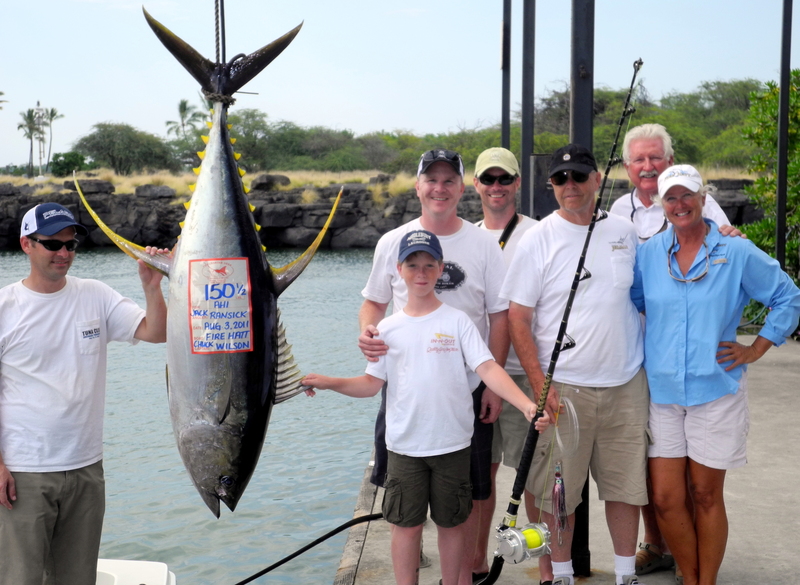 We had an epic day of fishing in Kona today. 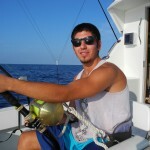 We started with a hookup on the long rigger. The Lucky Linda Lure of course. Chris fought this 200+ pound Pacific Blue Marlin for about 25 minutes on 50 lb test line. The Ken Matsuura Reels we use made the catch and release effortless. Once we got lines back in the water, it was Rebecca’s turn at a fish. Sure enough, about an hour later we are bit again. 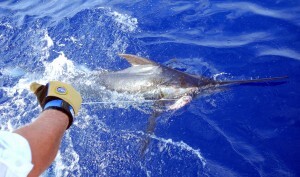 The marlin is jumping and screaming off line. After just a few moments, the fish is off. 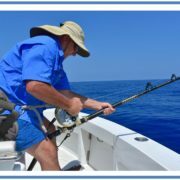 That marlin was estimated to be a bit larger than the first one. Now with a temporary lull in the action we decide to have lunch. I commented to Chris that typically when everyone has a sandwich in their hands, a line goes off. Sure enough, we are bit again. 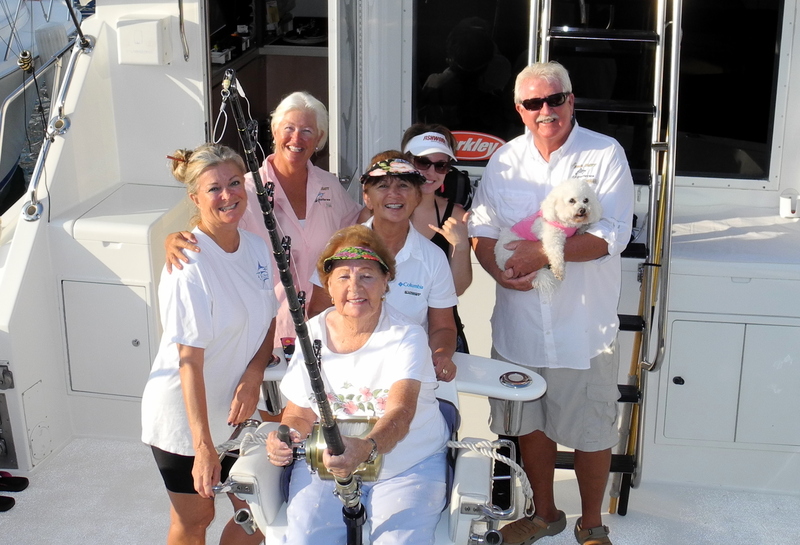 Rebecca is back in the chair, line screaming, the marlin jumping and it comes off. Again! Actually, I think she was relieved. The dorsel fin on this fish was so big that we all gasp as it came into the pattern and took the short rigger lure. We ended this day with one release, two strikes and a mystery bite. 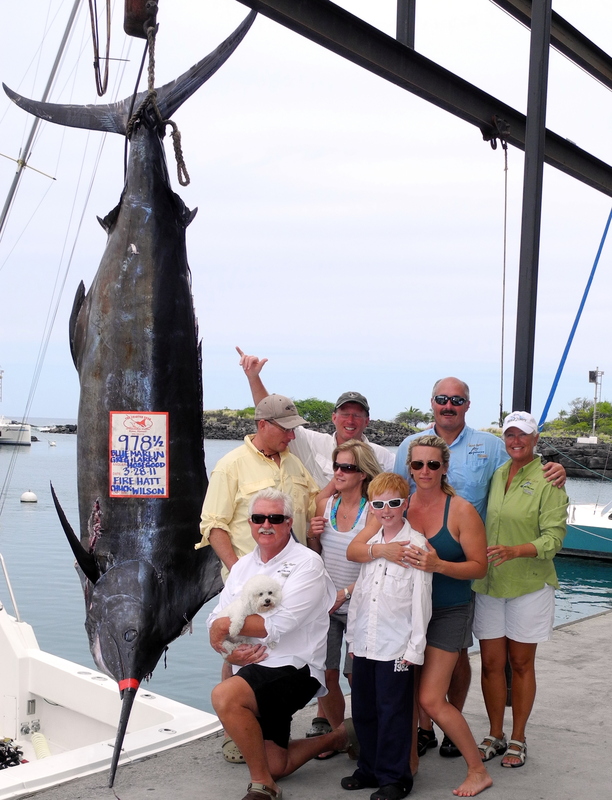 Not a bad day of fishing here in Kona Hawaii.